First of all, i think for the past 2.5 months everyone is enjoying a fruitful return from Bursa market. 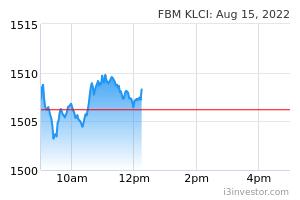 Same go for my subcribers as well, although we are very optimistis about the KLCI market. There is still some risk that we need to beware. What are the risk is waiting ahead us? There is 2 risk is waiting us during the month of Mar 2019. The US and China have until March 1 to secure a trade deal which would "assure the protection of US technology" and "get additional market access" to US companies, US Trade Representatives Robert Lighthizer said Sunday. If the deal is not reached, the US is set to raise tariffs on $200 billion (€176 billion) of Chinese goods from 10 to 25 percent. So, how severe is the impact. No one can tell, but if the talk never go on smoontly, definitely everyone will be hurt due to this incidient which is for sure. Now, this is the latest update of the development from the online information. Donald Trump’s declaration—the second in a week—that he’s willing to suspend his March 1 deadline for slapping higher tariffs on $200 billion in U.S. imports from China if trade negotiators from the two countries move closer to a deal. Currently, Donald Trumph now is considering 60 days extension for the TRADE WAR DISUCCSION. Therefore, market is react optimistic. Anyway, Donald Trumph has proven himself as a good negotiator and act like a business men. Personally, I think market has perceive this toward positive outcome but we should not neglect of the possible risk if negotiation not going on smoothly as we can see HUAWEI issues is getting hotter day by day in the international level. On top of that, BREXIT issue also trigger many uncertainty in the market. Therefore, if you check it out GOLD price chart, it is trending upward. Gold alway work as a tool for hedging against the risk of the portfolio investment. UK Brexit Secretary Stephen Barclay is to brief the Cabinet on his latest talks with Brussels amid continuing deadlock over the backstop. Mr Barclay was said to have had a “productive” discussion with the EU’s chief negotiator Michel Barnier in the Belgian capital on Monday. However, it appeared that they were no closer to resolving the fraught issue of the backstop – intended to ensure there is no hard border on the island of Ireland – which remains the main stumbling block to an agreement. The due date of this event fall on 29 Mar 2019. What are impact of UK exit from EU? A hard Brexit without a trade agreement would eliminate Britain's tariff-free trade status with the other EU members. Tariffs would raise the cost of exports. That would hurt exporters as their goods became higher-priced in Europe. So, basically LONDON unlikely become the central of financial hub of investment under the EU. Financial market may be affected as foreign fund will pull out from UK. Real Estate price start dropping. How severe is the property price in UK? Do read up this article for your own good. At the end of this article, i wish everyone do take precautious and locking some profit to be at safe side. That all the message i want to deliver to fellow readers. Disclaimer : Above is for educational sharing purpose. Kindly consult your dealer/remisier for any investment decision. Trade at your own risk. speakup WTF! STUPID ARTICLE to scared ppl only!